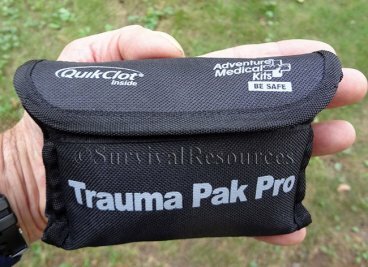 The AMK Trauma Pak Pro is small enough for Everyday Carry and fits in cargo pocket! 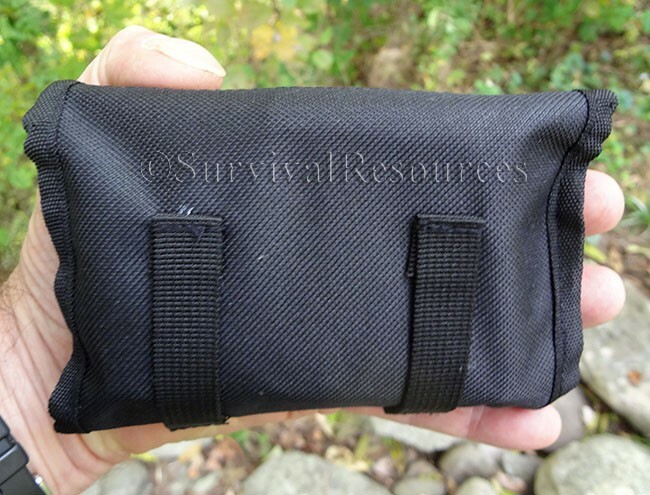 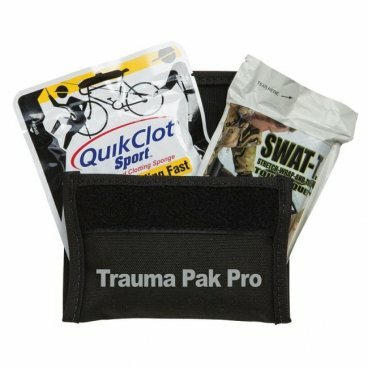 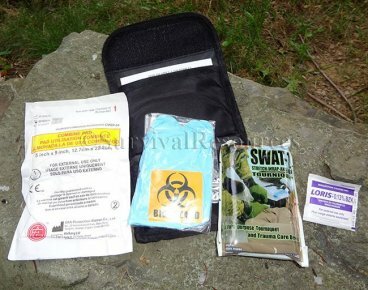 This is a great little trauma kit for Hunters, Guides, Military & Law Enforcement, as well as professional Rescue Teams. 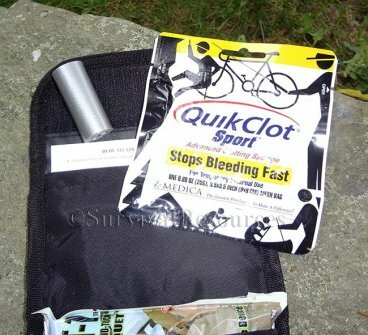 The top inside pocket holds a One QuickClot Sport®, One roll of Duct Tape (2"x26"), and a set of directions on how to deal with various medical emergencies, as well as how to apply a tourniquet. The Bottom inside pocket holds One Trauma Pad (5"x9"), One SWAT-T™ Tourniquet/Pressure Dressing (The SWAT-T™ is a Multi-Purpose Tourniquet and Trauma Care Device), One Pair of Nitrile Gloves, One Hand Wipe, and One disposable Bio hazard bag. 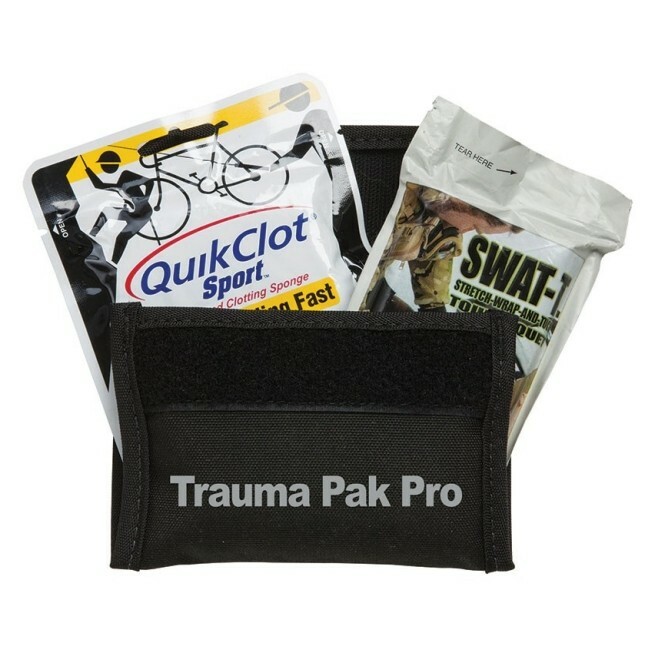 For the size, 5-1/2" wide x 4" high x 1-1/2" thick, this is a great little Trauma Pak! Weighs 7.9 oz.